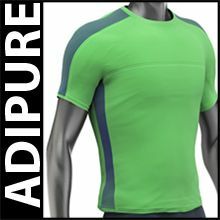 The eight-piece running collection adiPure Running employs innovative pattern design to achieve almost one hundred percent utilisation of materials, thus contributing to waste prevention. The components consist almost entirely of recycled raw materials, and no toxic chemicals are used. The objective is to transfer insights to other collections from Adidas. the throwaway society. Examples are presented with their history in the store workshop and on the website. 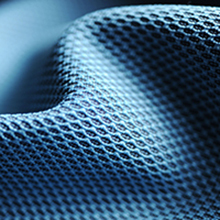 In accordance with the Cradle-to-Cradle principle, the upholstery fabric Climatex Dualcycle uses a special weaving process to combine virgin wool and a flame retardant cellulose fibre. Locally produced raw materials that are separable and recyclable by type ensure breathability, passive seat climate control and longevity. 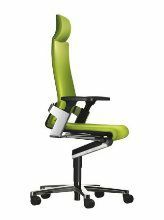 With variable structure and colouring, the fabric is well suited to office furniture and public interiors. 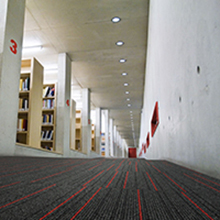 The Desso AirMaster carpet tile can trap and bind particulate matter mechanically and without the use of chemical additives, giving it an anti-allergenic effect. The interplay of yarn quality and carpet structure, which is Silver-certified by Cradle-to-Cradle, enhances the appearance and improves the air quality in the room. The production of the carpet tiles from 100 % recycled yarn up to disposal, separation and recycling is a closed production cycle. 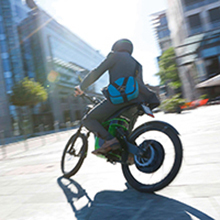 A sporty hybrid of motorbike and bicycle, the zero emission Elmoto electric bike appealsto a young target group. 100 % electrically powered and weighing only 46 kg, it can reach high speeds as well as cover long distances. The lightweight construction enables the energy-efficient utilisation of an extremely durable wheel hub drive. The Li-ion battery and casing components can be recycled by type. The production process for the energy saving fans utilises raw materials that are both sustainable and resource-preserving. 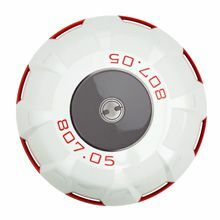 The intelligent material properties meet high usage requirements such as temperature resistance, low shrinkage and stability. The reduced number of components and the improved aerodynamics minimise CO2 emissions and energy consumption. natural oils as well as treated with water-soluble lacquers. 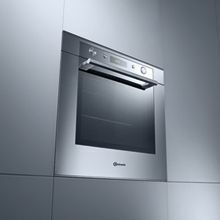 What is more, the oven complies with the 2nd BlmSchV ordinance for fine particulate emissions. 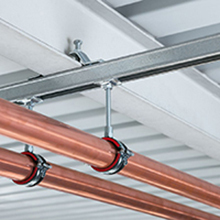 The innovative MM channel system has been specifically developed as a mounting for plumbing-, heating- and ventilation installations. It is easier and less time-consuming to assemble than conventional rails. CO2 emissions during production could be significantly reduced (–36 %) in comparison to conventional solutions on the market. Moreover, the Hilti MM channel system supports global green building standards. and water-cooled motor technology. The used materials are PVC- and phthalate-free. 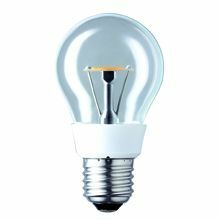 The redesign of the Nostalgic Clear LED lamp combines the advantages of conventional incandescent bulbs with those that use LED technology: warm-white, radiant light and classical form, with energy savings of 85 % and a 25 times longer life expectancy. The delay-free start and full light quality offers a mercury-free alternative to conventional energy-saving lamps. The clear lines coupled with efficient LED technology bestow the spotlight with elegance and maximum economy. A special lensreflector system comprises uniform accent lighting, high colour quality and reduced heat radiation. 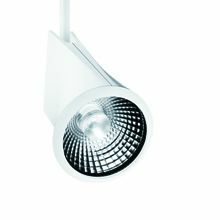 Produced without the use of halogen and solvents, the spotlight achieves a maintenance-free lifespan of up to 50,000 hours. The exhaust-air wall box increases the overall efficiency of every kitchen drainage system. 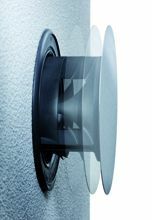 Straightforwardly designed, the box can be visually integrated in the external façade and optimally combines high flow power with certified wall mounting tightness. Energy losses are reduced and heating energy saved via recovery from the extractor hoods. A closing mechanism powered solely by air pressure does away with the need for electric motors. 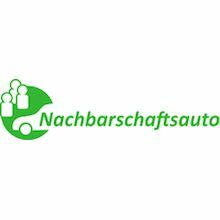 Following the principle of “using instead of owning”, the Nachbarschaftsauto Internet platform makes the private borrowing and lending of cars easy and secure. At no cost, hirers can create profiles for their cars on the platform, and booking is easy for borrowers. The Nachbarschaftsauto full insurance coverage is included automatically. The special cleaning system of the PureClean series of ovens removes most stains – without chemicals and with 95 % lower energy consumption than standard cleaning programs. Likewise, the stain-resistant enamelled interior and the nano-coated inner door are highly innovative features. 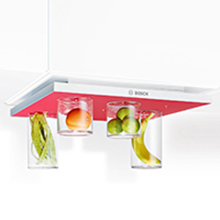 Almost completely recyclable, the design allows the devices to fit in harmoniously with every kitchen concept. 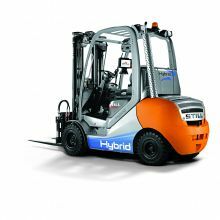 The RX 70 Hybrid is the first mass-production diesel forklift that works on the principle of energy recovery and electric power transmission. A combination of two energy storage systems makes the drive of the RX 70 Hybrid both powerful and economical. Energy potential is released through the recovery of braking energy and the efficient use of the combustion motor, saving an additional 20 % of fuel. Low motor rotation speeds keep noise emissions to a minimum, while user-friendly design enables safe and efficient handling. The innovative tesafilm dispenser is small and handy. 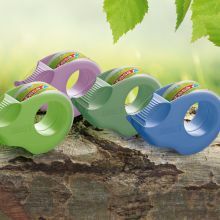 It can be held on a single finger for easy unrolling, and hand-tailored design ensures both a firm hold and more flexible application. The material requirements are low in comparison with competing products. The dispenser housing as well as the tesafilm strips are made of 100 % recycled plastic, and are completely recyclable. 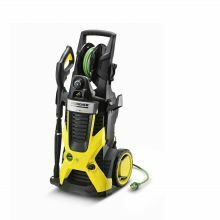 The dry vacuum cleaner T 12/1 eco!efficiency achieves almost the same performance with 750 watts as a 1300 watt unit, and consumes 40 % less power. Approximately 95 % of the used materials are recyclable. What is more, the noise level has been reduced by around 70 %. Kärcher guarantees a long life and period of use, and resources are saved through excellent repairability and long-standing spare parts supply. The easy pieces sofa is a versatile article of furniture. 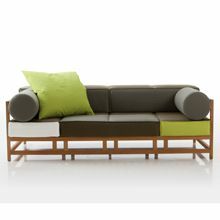 The clear architecture is emphasised by the conjunction of the oak frame with an exchangeable mosaic of cushions. Depending on the arrangement of the cushions, it can become a sofa bench or lounge furniture – timeless, made with vegetable-tanned leather and domestic timber production, and with a virtually unlimited lifespan. 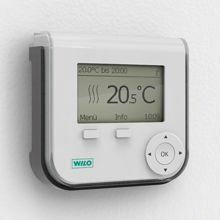 Wilo Geniax is a decentralised heating pumping system that that brings high savings in heating and electricity. The pump system is unobtrusively integrated into the living environment thanks to a purist design. The modular system of design cladding, operator- and control devices enables easy, tool-free installation and easy repair for the user. 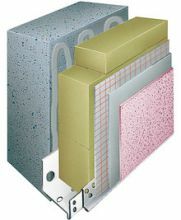 The composite thermal insulation system weber.therm A 200 with weber.pas AcquaBalance provides both climate- and water protection through the combination of mineral insulating boards and mortar with a paste-like textured render. To date, structured plasters have often contained biocides that are washed into the groundwater by rain. By contrast, the weber.therm A 200 with weber.pas AcquaBalance system is biocides-free. Furthermore, in contrast to leachable biocides, the physical principle of the pas.top technology has a permanent protective effect. The Wrap&Play scarf is a multifunctional piece of clothing. Thanks to its convertible cut, it can be worn in 50 variants – also as a skirt, top and vest. Size- and trend independent, the affirmative overprints such as “GlücklICH” (“HappyMe”) promote the positive self-esteem of the wearer. 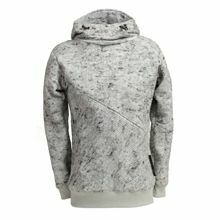 Certified organic cotton, heavy metal free printing, eco-friendly packaging and local manufacturing distinguish this as a sustainable green fashion product. alvari Designsystem alvari GmbH i.G. (a bicycle with an electric motor). 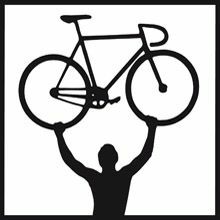 At 13.7 kg, the COBOC eCycle is significantly lighter than standard commercially available varieties. The low weight means that it consumes less power and remains agile and sporty to ride even if the battery is empty. 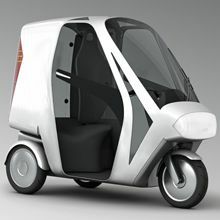 Not least because of its minimalist design, it also appeals to young people looking to switch from a car to a pedelec. The operating concept is intuitive and the sensor adapts automatically to the rider. The eBike feels like an ordinary, mechanical bicycle – only faster. The earthCOLORS® offset printing inks are based on “soft chemistry” and meet customary quality standards for the market. This means that mineral oil as well as chemical binders and -solvents are replaced by renewable vegetable oils and resins; pigments are non-toxic and are purely mineral-based. 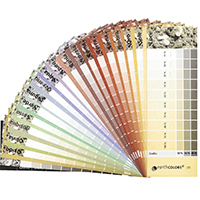 earthCOLORS® provides designers with new aesthetic and sustainable design opportunities in the areas of visual communications and print. 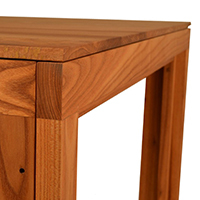 The concept has resulted in the development of a 100 % recyclable, environmentally friendly board for furniture. The production process follows the Cradle-to-Cradle principle. The construction ensures stability with low weight. Décor and colour are selected in the production stage, doing away with the need for irksome coatings and laminates. The EDAG rental system for electric vehicles marks a new mode of thinking in urban mobility towards ecology and holism. 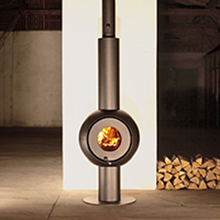 The concept is given support by the use of maximum available space, intuitive operation and brand recognition. Likewise the design: lightweight construction for weight reduction, modules for quick replacement, and lava-based basalt fibres all help to ensure sustainability. 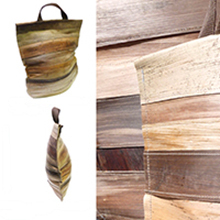 The sustainable vegetable leather substitute derives from palm bark leaves. A special treatment makes it supple – a process that is cheap, simple in application and environmentally friendly. The natural colour, texture and elegance are preserved. For processing for sandals or bags, a particularly attractive effect is the contrast between appearance and surface feel. 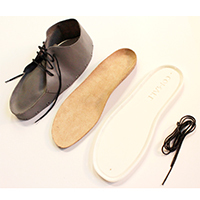 The shoe is made from 95 % natural fibres, latex and oils. It is also designed as an assembly set, comprising a shank, sole and laces. The low-energy on-site production employs traditional techniques and is adapted to regional conditions. This encourages the use of bio-resources and promotes active protection of the rainforest through the cooperative participation of forest inhabitants. 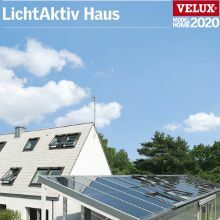 The LichtAktiv Haus is a suburban house from the 50‘s that has been modernised as a barrier-free zero-energy house, combining intelligent power design with a high quality of living. The daylight architecture supplies the building with plenty of light and fresh air. At the same time, the required energy is pro-vided entirely by renewable energies. The LichtAktiv Haus produces more energy than is actually required by the inhabitants and the building. This is the first time that CO2-neutral living has been made possible in a modernised suburban house. best before ... is a double-walled yoghurt pot made of a plastic film. A layer of compressed air between the two films gives the pot its rigidity. Yoghurt is often discarded after the expiration date, even before the packaging is opened. However, foods are frequently still edible after the predicted expiration date. best before... visualises the “real” expiration date of the yoghurt, thereby counteracting food waste. With colour- and shape-rich furnishings made of paper, the Cartis line of furniture is especially well suited for children and young peo-ple. 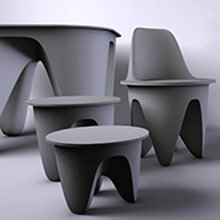 The line is the first time that the moulded fibre process has been used for furniture production. A combination with isotropic radiator technology makes the objects more stable and durable. As a raw material, the waste paper is biodegradable, and recycling is low-cost without loss of quality. Comake Shoes denotes a shoe package that is designed according to the modular principle with an approach that incorporates the user. 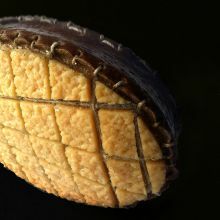 The jacket – an inner shoe cutting pattern on leather – and separate over soles, insoles and laces are all locally produced from renewable resources. Modular design and reversible shoe components allow separation, replacement, repair and recycling by type. The fabric collection for adults and children combines trend-independent fashion with the feel-good factor of environmental sustainability. Handmade from the natural materials linen, wool, alpaca and silk, and coloured with non-toxic dyes, the temperature-regulating properties of the garments provide wearing comfort. Weaving-, felting- and knitting techniques give all of the pieces an interesting feel. The .eco domain, which provides an expiration date for data with a short shelf life, is a concept for saving energy on the Internet. The approach saves disk space on servers and reduces power consumption. 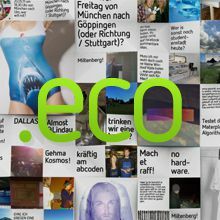 Tested among others on Facebook, the new domain can be applied to other Internet sites; .eco is design- and concept-independent from the respective networks. The storage system optimises the storage of fresh foodstuffs and thus helps to reduce food waste. A vacuum extends shelf life and assists in the attachment of the glass containers for safekeeping. 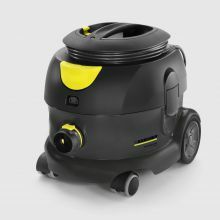 The easy to handle vessels are vacuum suctioned, sealed and attached below the upper cabinets in a space-saving manner. The energy saving concept requires no insulation or refrigerants. 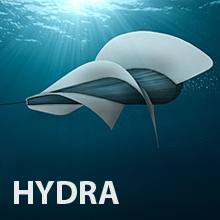 Hydra is a portable hydroelectric plant that can be used in almost every river. In developing countries and disaster areas, it can produce locally generated electricity for aid stations as well as provide a first infrastructure. Magnetic bearings help Hydra to function extremely efficiently, and with rotor vanes con-structed from plywood and paper, the unit is light, environmentally friendly, and easy to assemble. Kami spin refers to a rotation manufacturing process for objects made of 100 % cellulose. 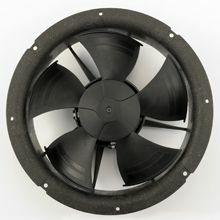 Through centrifugal force, a negative mould gives rise to stable forms that air-dry without artificial energy supply. 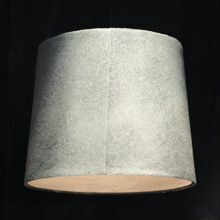 Clear and minimal, the products are highly versatile – for example as lamp shades. The plant fibre is lightweight, water soluble, easy to work with, infinitely renewable and fully compostable. 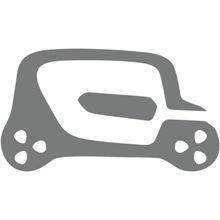 The courier driving school is a synthesis of driving school and parcel delivery service. The main benefits are a reduction in traffic and CO2 emissions, a second source of income for driving schools, and low-priced parcel delivery. Thereby, novice drivers are given more responsibility, instructors have a definite destination and driving lessons cost less. No new resources are required as the infrastructure and vehicles are already present. 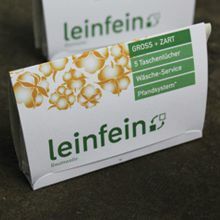 Leinfein is the environmentally friendly alternative to paper and cloth handkerchiefs. It is sold in everyday businesses and then taken back after use, before being professionally cleaned and returned to the product cycle. Made using the natural products of hemp and cotton, and with an extra compartment for used tissues, the product saves waste and energy and fosters a service-oriented rethinking of everyday urban life. The web platform encourages a playful approach to CO2 reduction, with daily tips, forums and a climate calculator. The name symbolises the early stages of the concept. Further “levels” will need to be reached before the objective is attained: 1 million tonnes of CO2 saved collectively by all users. 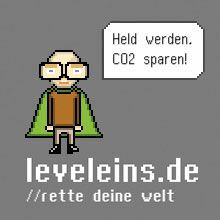 Energy-saving heroes provide a sense of identity in the form of individually created avatars. The Pfandring is an additional mounting for bins in public spaces for returnable bottles and deposit cans. 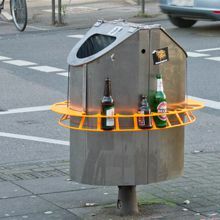 Passers-by can leave their empties in the Pfandring in good conscience, and deposit collectors are spared from groping around in the rubbish in an undignified manner. The concept helps to keep bottles and cans in the recycling loop. The design is functional and the colouring gives it a signal effect. The recyclist_workshop is a label for sustainably and fairly-produced fashion. 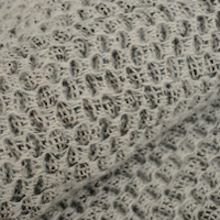 The Juri and Walentina pullovers are made predominantly of fabrics from recycled textile fibres, and are complemented by details such as bicycle chain parts. High quality and discriminating design are combined with the utilisation of recycled products. The pullover can be easily returned to the recycling loop without the need for special separation processes. The piece also implements important aspects of ecodesign, from waste as a raw material to environmentally friendly packaging and local value creation. Rennholz is a contribution to the subject of e-mobility. 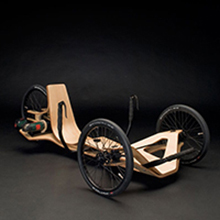 The moulded wood chassis is unique among recumbent bicycles, and gives the bike its strong character. Flexible and resilient, the vehicle offers a high degree of riding comfort. The utilised wood is renewable, lightweight and durable. 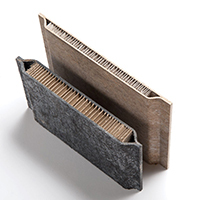 Rennholz thus contributes to the use of environmentally friendly materials in vehicle construction. Sanpack is a bandage kit for road vehicles. Made from recycled cardboard and pollution-free in production, it achieves both, stability and low weight through its folding design. 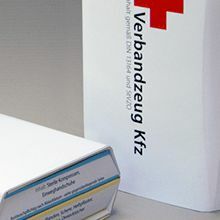 The first aid guide printed on the packaging also cuts down on the use of materials. Production and disposal costs are lowered by splitting the kit into two parts, meaning that individual components are replaceable without requiring the purchase of a complete set. 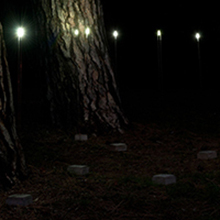 The Sirius exterior lighting concept is based on the idea of giving visibility to hidden energy. The low-voltage LED lamp generates its own electricity from an earth battery. All that is required to produce light is the addition of water. Wire-anchored to a concrete base, a glass reflection body provides 360° scattering of light. The components of earth, zinc, copper and glass are fully recyclable. construction – facilitates dismantling and recycling. The system uses containment buoys that are dropped by aircraft over the oil spill. The buoys span radial nets that wrap themselves around the layer of oil. Their fractal fine structure binds to the oil without the need for chemicals. The buoys react rapidly – unmanned and independent of weather conditions.They are also easy to locate and keep seabirds away using ultrasound. Oil, nets and buoys are straightforward to recover and are separable and recyclable. Tap water made into brand water. 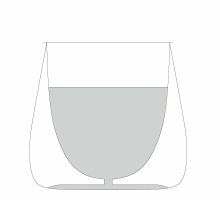 This collection of water glasses featuring fictitious imprints of water brands visualises the quality and sustainability of tap water, which requires 1000 times less energy to produce than bottled water. 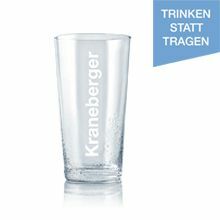 As part of a campaign to pro-mote German drinking water, the glasses invite reflection through a re-imagining of everyday products. The motto: Don’t Carry – Drink. Creating new pieces from old clothes is a time consuming process and is often limited to exclusive items. 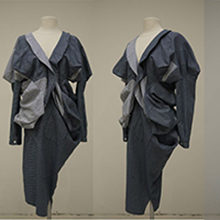 Weitertragen (“Keep on Wearing”) rises to the challenge of designing aesthetically pleasing and sustainable recycling fashion in a reproducible and thus economical approach. One means of achieving this is with the materially efficient spiral cut, which combines the concepts of “Zero Waist” and “Redesign”. Limited production has already begun. Wolt comprises the sustainable coupling of viticulture and electricity production. 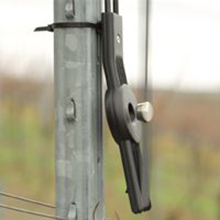 A special belt construction extracts wind power through the use of numerous interconnected and unobtrusive energy elements in the vineyards. The electricity is generated almost as a sideeffect alongside grape harvesting; this can be utilised for water pumping, for example. The electricity yield even exceeds demand, resulting in a stable energy balance.